Currently, Anurag is an Independent Director and Advisory Board member to various companies (size ranging from $200+m to $10+m) and a few start-ups. He is also a resident mentor to IIM-A start-up cell. 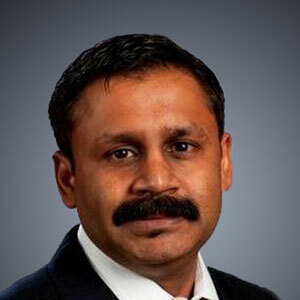 Anurag is a certified Six Sigma MBB, BB, Change Management Coach and Balanced Scorecard practitioner from GE. He built the Management Consulting practice for GE, India and also served as management team member with Gulf Bank. At Gulf Bank he was responsible for the program management of its turn-around after it reported a loss of $1.50b. Outside professional work, Anurag is a Reiki Grand Master and finds fulfillment in healing people-in-need. He is also a crystals collector and is the proud owner of an exclusive and rare crystal collection. Anurag is a prolific speaker, facilitator, change agent and features regularly in India’s leading newspapers. He also continues to pursue his passion of sketching and painting. Anurag is MBA alumnus from NYU Stern and LSE, having completed his B.Tech from HBTI, Kanpur. He exercises well-grounded inspirational leadership style and practices GE’s famous 4E’s (energy, energise, execute and edge) and one P (passion).